This is the predictable path because it’s the only one that’s politically expedient and doesn’t cause much financial pain until it’s too late to stave off collapse. Financial crises, in contrast, remain a constant feature of the modern era, and developed-world nations are perhaps even more vulnerable to financial disorder than developing nations. 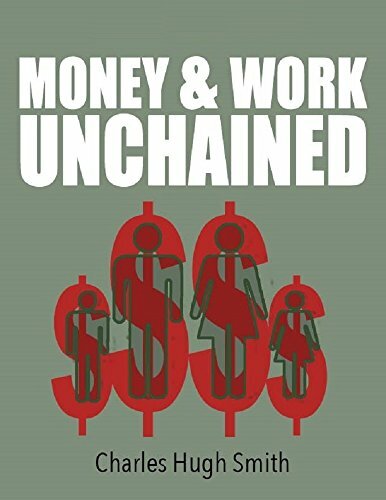 Money and Work Unchained Charles Hugh Smith Check Amazon for Pricing. As I’ve often noted, systems tend to follow an S-Curve of rapid expansion followed by slower growth during maturity and culminating in stagnation, decline or collapse. Successful economies generate a double-bind once they reach the stagnation-decline phase: the populace (and capital) both expect strong permanent growth as a birthright, and they see the previous boost-phase and maturity phase as evidence that the economy “should” continue delivering outsized returns on capital and widespread prosperity essentially forever. They are willing to accept a temporary slowdown/decline as part of the process of prosperity, but their patience quickly runs out if outsized returns and general prosperity aren’t forthcoming. Since they are the parasitic elites, eliminating that source of friction is off the table. Restoring depleted soil/water/energy resources is not possible, and wresting control of others’ resources to exploit is problematic: using force might trigger a wider war, so buying others’resources is the safer answer. 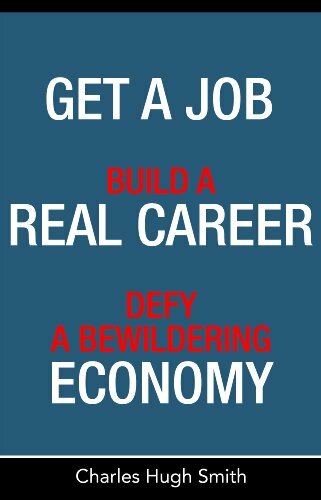 Get a Job, Build a Rea... Charles Hugh Smith Check Amazon for Pricing. Modern states create new currency by either digital “printing” or borrowing the money into existence. There is little political resistance to creating new money to buy others’ resources, generate high returns on capital and deliver direct transfers of cash to the populace via “make work” employment, social welfare, Universal Basic Income, etc. Depending on the wealth and productivity of the existing economy, the world may accept this new money as having value for a time. But as the need for more currency increases, ruling elites start to “print” or borrow new currency in excess of what the economy actually generates in income and value.